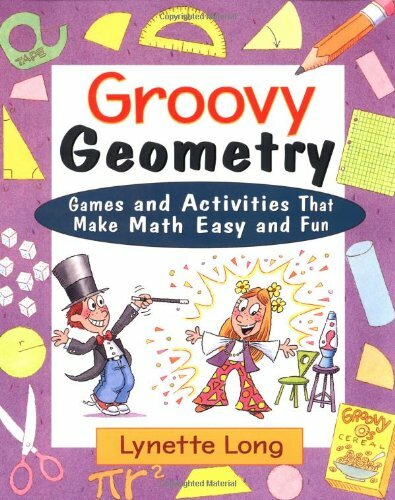 Groovy Geometry Games and Activities That Make Math Easy and Fun 2003 publication. Don't Just Learn Geometry...Master It! Brimming with fun and educational games and activities, the Magical Math series provides everything you need to know to become a master of mathematics! 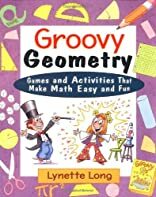 In each of these books, Lynette Long uses her unique style to help you truly understand mathematical concepts as you use common objects such as playing cards, dice, coins, and every mathematician's basic tools: paper and pencil. Inside Groovy Geometry, you'll find all the geometry basics, plus information on how to figure out the height of any object from its shadow, find distances "as the crow flies," estimate the area of any space, and much more. While you play the Name Game and Rectangle Race, you'll learn how to draw, measure, and identify different kinds of angles, triangles, and quadrilaterals. And with fun activities like Bull's Eye and Pizza Party, you'll practice plotting coordinate points on a graph and measuring the area and diameter of a circle. Most important, you'll have a great time doing it!